I have a passion for helping others and that is why I love what I do! Purchasing a home is one of the biggest financial investments you will make in your lifetime. This is why it is important to be working with professionals who are really looking out for YOUR best interest. I make it a point to educate every client I have the pleasure of working with on every aspect of the home buying process. I am not the lender who simply quotes you the rates and fees, but actually LISTENS to your financial goals and situation to assess what loan program would fit you and your family's needs the best. If you are thinking of buying a home, refinancing or just have a question regarding how the market is doing, please don't hesitate to text, call or email me! I'm always happy to help. My wife and I just closed escrow and we were so struck by how awesome Mina has been from start to finish. When we got her hand written card in the mail, we looked at each other and said, "Mina's gonna be one of those loan officers who has a long, successful career" (I mean, who handwrites cards for their clients these days?) Throughout the whole process she made us feel she was right with us, answering all our questions, and addressing all our concerns, like a good friend. She consistently gave us honest advice, and never once made us doubt she was on our side. We're glad we met her, and know her future clients will have the same excellent experience we had with her. We strongly recommend Mina as a highly skilled and trusted mortgage broker. My wife and I were dreading the process of buying a home, but Mina made every step painless and enjoyable. From the very first e-mail exchange we had, I felt immediately comfortable and confident that she was going to do everything she could for us. She assured us that we would close within 25 days from the date of our offer, and she worked tirelessly with us day and night to ensure that we met every benchmark along the process. She used her years of experience to put us both at ease when we asked questions and went above and beyond the normal job requirements. Mina made the drive and was present at our documents signing, was available to talk and advise at all hours of the day, and was even present with our agent when we were handed our keys. I recommend Mina to anybody that is interested in purchasing a home. I have no doubt that she will work equally as hard for you, and most importantly, you will not be disappointed that you did. Mina was a superstar for us. Mina is beyond phenomenal in her position. She has prompt follow ups, extremely knowledgeable in her field, and answers any and all concerns with a smile on her face. Her professional, yet personable and genuine characteristics made it very easy for us to connect and confide in her. She made our decision to purchase a house much simpler and much more streamlined. Because this was our first time purchasing a house, it was very difficult to understand a lot about the purchase processing timeline, yet Mina took the time to slow everything down to make sure we understood the concepts loud and clear and really held our hand throughout the entire process. One example I can give to exemplify her professionalism was when she took a call from the seller of the house at 10PM and answered questions for the next hour. No matter the day or time whether I text or called her she always made herself readily available. My experience with Mina was an absolute pleasure. One the most exceptional workers I've ever come across. Mina, I cannot thank you enough! If you're reading this review, you're probably having thoughts about emptying out your savings account, checking account, piggy banks and pockets. Yes, slightly scary, but fear not, Mina is now in your life to make sure you know your facts before investing in such a big purchase. My fiancé and I were first time home buyers and didn't know what to do with ourselves. Luckily, our realtor (who is also amazing) introduced us to Mina. She is very knowledgeable and informative. She breaks down the facts and explains the process using words us normal-non-lender people can understand. Mina always made sure we knew she was one call away regardless of what time or day of the week it was. I highly recommend using Mina to help provide a pleasantly easy home buying experience (to the point where we felt like we did nothing except sign our lives away). Applying for and completing the mortgage process can be a cold, frustrating, and stressful experience, but Mina has a way of making it as comfortable and painless as possible. I can be rather difficult to deal with when frustrated, but Mina was always helpful and professional and went out of her way to accommodate my every inquiry. One of the things I like most about working with her is that she is always accessible. No matter how often i called or texted, she always answered or got back to me in a very short period of time. She has a way of breaking down an otherwise complicated process into the simplest terms for you. She almost always had an answer to every crazy question I asked, or got back to me with an answer quickly. And when I had issues at closing that went beyond the scope of her job, she did not hesitate to go above and beyond to make sure everything stayed on course. I have already recommended Mina to others and will confidently continue to do so in future. From the moment we contacted her through email regarding information about the possibility of buying a home to actually starting the process, Mina has been on point with communication. My 2 buddies and I were looking to buy a home together, but being first time home buyers, we were completely oblivious and lost on the process. Mina took time to schedule a face-to-face meeting, and seeing how knowledgeable she is put us at ease. She was very patient in explaining the process and the documents she would need for the pre-approval letter. Even as we were going through the home finding process, Mina always sent us emails to check on us to see if we had any questions. Every time we asked questions, Mina provided a quick turnaround with an answer. She even had videos for reference to break down the different processes. If you are looking for someone you can trust and count on, I cannot recommend Mina enough. You will be in great hands with Mina to answer your questions and fulfill your home loan needs! Mina is great to work with! She is very thorough in her work and she works very hard to get you into your new home. She is courteous and professional, and she responds very quickly to calls and emails. I would definitely recommend her services for all your lending needs. My experience with Mina has been absolutely delightful. She was very helpful to me and made sure I understood every step of the process. When I needed additional information to close my deal she went out of her way to help me provide it. I would highly recommend her to anyone else who is interested in financing a home purchase. CLOSED REFINANCE LOAN. Mina is the most responsive and most proactive loan officer I've worked with. This is after searching through 5 different lenders who didn't meet my needs. I value honesty, timeliness, transparency, and dedication and Mina was able to deliver all of the above. We were able to close on time as schedule and with a hassle-free experience. I highly recommend her and wouldn't hesitate using her again for my next mortgage or refi. Thanks Mina for helping me save on time and money. Mina was as professional as they come. She provided answers in plain language, was excellent with providing updates, gentle but firm with items that required follow up, and consistently available. She was also friendly, down to earth, and pretty great at what she does. With all the horror stories of purchasing a home, I believed something would surely fall though and stop me from getting a home. I was even worried about the paperwork. But we just closed on an amazing home! Mina made this process unbelievably easy. She broke down every step and made sure everything was aligned. My wife and I come from the military, so it is natural for us to want to know exactly what we need to do and when to do it. Mina made sure not only that we did what was needed, but also that we understood when and why. We even had our 3 little daughters with us the entire process. I have to mention that when we came accross a bump on the way, Mina was right there to back us up and push through. She is a great member of a great team. I know now, this won't be my last house. I know who to go to when we are ready to upgrade. Thank you Mina! As her other clients can attest as well, Mina is super responsive and transparent. She is always so pleasant to talk to, and she is really upfront about all the details. Being a first time home buyer, I definitely felt I needed some hand holding throughout the process, Mina's excellent service and experience made the ordeal a lot less intimidating. Highly recommenced working with her. This was our first time buying a home. We had a quick and easy close of Escrow. My husband and I are both veterans and are using our VA loan. Mina went above and beyond to make sure everything went as it should. VA loan or not, she will be with you every step of the way. She was a pleasure to work with and we received wonderful feedback from the listing agent about how easy she was to work with. Mina, from the bottom of our heart we will be forever greatful for your time, help and guidance during this entire process! I will not hesitate to recommend her to our friends and family! Thanks again Mina! 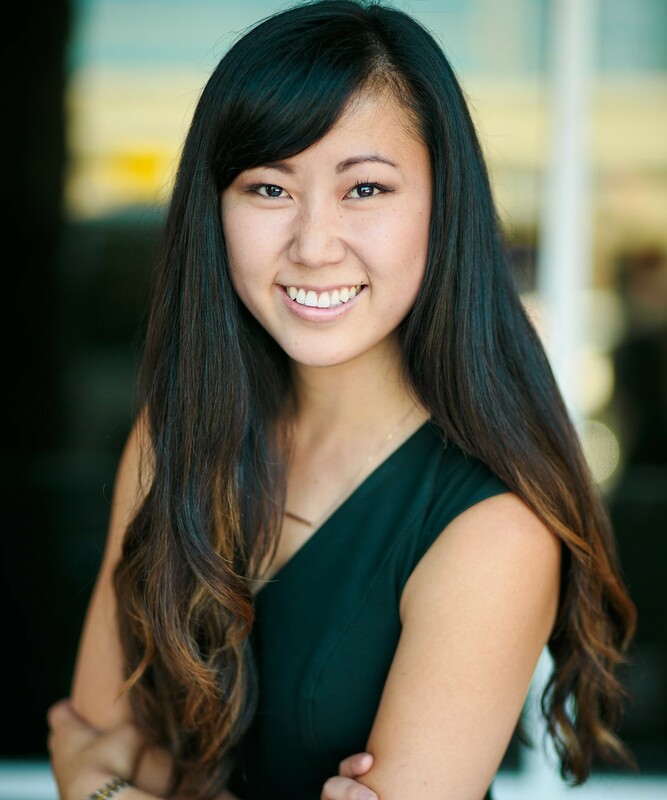 Ms. Yasuda is a professional who excels in all of the qualities a customer would want in a loan consultant. Her work ethic is first-rate, and she knows that it's part of her job to respond to customer communication (even if it's during the weekends). She is responsive and approachable, and able to clearly explain complicated issues. I was never intimidated by the process or suspicious that a last-minute surprise would undermine us getting a loan. She is enterprising and has the "big picture" in mind in her work. Specifically, I felt like more than just a number to her and I anticipate that she is working toward a long-term career goal which would be much-well deserved. Finally, and just as importantly, she works with pride and honor. She enjoys helping others projects a strong ethical mindset. I highly recommend her. Oh my gosh! Mina is awesome! My refinance situation was not the easiest thing to deal with, but Mina was there every single step of the way, ready to answer all of my not so bright questions with amazingly fast response times! Honestly, I think that with any other refi person, it would've taken at least twice as long. But even better is that her responses were detailed, thorough, and in terms that I could understand it easily. Needless to say, I asked her quite a lot of questions because I knew that I would get good answers explaining everything. However, I do have one regret, and that is that I cannot use her as my own personal advisor for everything in life! Mina was great. She was very responsive and knowledgeable throughout the entire process. She answered all of my questions in detail and educated us all about the lending process. She was very friendly and very easy to talk to. Mina was on top of our file and made sure that we stayed on track to close in 30 days. I would definitely recommend that you work with Mina!